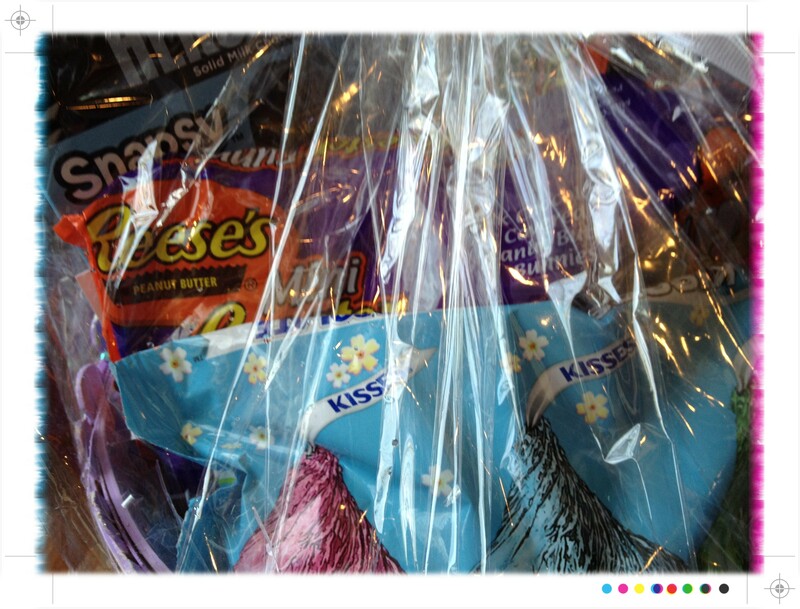 The nice folks at Hershey were at BlissDom. Candy. My biggest weakness. Well, that and wine. But I’m off track here. Anyway, as you can see, it’s filled with yummies. Is it obvious I’m a Reese’s fan? So Hershey asked if I’d share my Easter memories and traditions or tips. Being an honest soul, I told them that I’m Jewish and do not celebrate Easter. Never have. They didn’t care. Not a bit. So here I am. 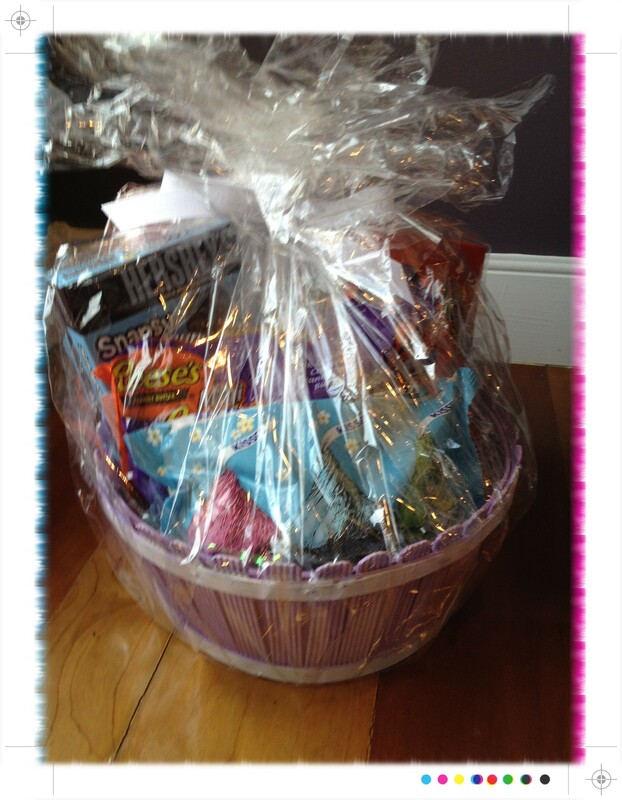 With the first Easter basket I’ve ever had. Ever. And since I clearly cannot share an Easter memory, I’d like to take a few minutes and share a Passover memory. Hey, it’s the same time of year, so why not? Not like we do now. Now, we do an abbreviated version. We’re big fans of the 30-minute Seder. So my Zayde used to hide the matzo – the afikomen, as it’s called. And we kids – all 9 of us – would scramble to find it. And it was always in one of two places…. 2) under the table cloth where Zayde sat. But even though it was never a challenge, it was always fun. I loved having all those people together. Doing the same darn thing, every single year. My Bubby (great grandmother) and Zayde have been gone for a long, long time. But there isn’t a holiday that goes by that I don’t think of them. I credit my mother for making my childhood holidays so full of family and love. Thanks, Mom. I just hope that I am giving that joy to my children, too. Whatever you celebrate this Spring, I hope you find joy in your family and friends. < It’s about the math and science. great story. enjoy your first Passover basket 🙂 and i’ll share wine and chocolate with you anytime! Thanks Lisa! Have a wonderful Easter! What a nice post. They were fun times. Yes, they were. Except the plastic over the tablecloths. That was weird.